Not the blingiest bling, but we are kicking off a theme here....and continuing the Wisconsin love fest. These are the buttons I made at Art Camp last weekend, which I will soon give you a recap of. Thanks to the gracious owner of Busy Beaver Buttons bringing the handiest device I've ever seen, making these were so simple. You basically just cut a circle out of your favorite paper or fabric, set it up, and pull a lever. 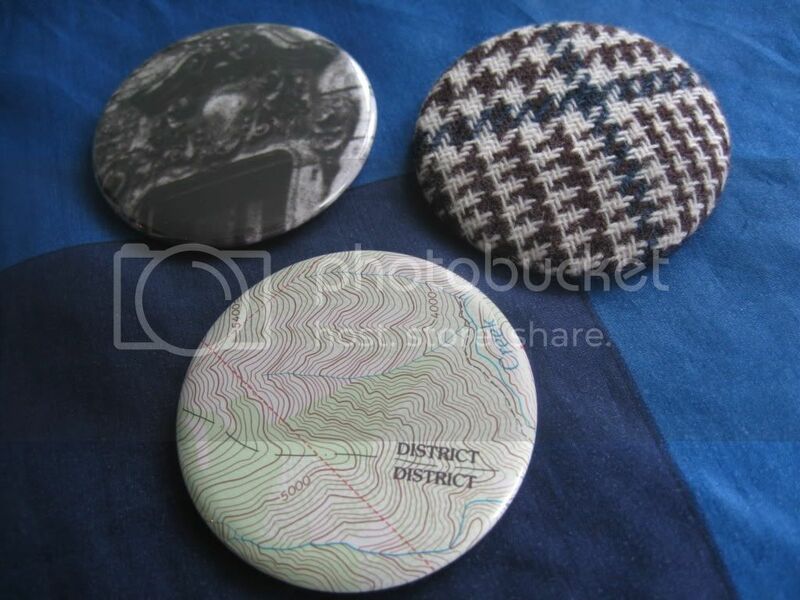 Pictured here we have a window detail from an old Berlin photograph calendar, houndstooth fabric (which you will come to know that I am obSESSED with), and some fun topography map in button form.